This dress is beautiful! It is very accurate for sizing and even prettier than pictured! 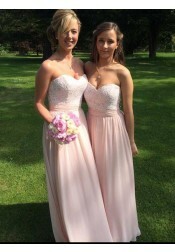 The company was very responsive and shipped the dress quickly to accommodate our time. Thank you !!! I love, love this dress! The measurements were right on and I'm so glad I did all the measurements. It's beautiful and fit perfectly!! I was nervous to buy the Bridesmaid Dress online after seeing horror stories of online dresses, but this dress was perfect. I ordered a little bit late for prom but it still arrived on time and fit perfectly. The costumer service is outstanding and made the dress specific to my measurements. I love the dress and everything about it! It looks so good. I may take it in just because it's too long. Otherwise it's great the only real problem I have is the smell. It smells really bad and I'm probably going to have to have it dry cleaned! Beautiful dress! 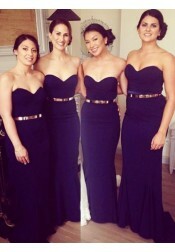 My bridesmaids love them and so do I! Will definitely order again and recommend SimpleDress! I was a bit skeptical at first about how low the price was, and expected somewhat low quality product in exchange, but took a chance and I'm so glad I did.which was 4 days before the earliest expected delivery date. Would definitely order again! I'm very pleased with the fit of this dress.Overall very pleased with this purchase. Very nice dress for the money, fits as expected. Beautiful gown, 100%. So glad I took a chance on ordering it. Beautifully made, my sister in law to be absolutely loves the material and color ! Would highly recommend this dress! I love this dress! I was initially scared because the material is stretchy and you can't see the seams. But it looks amazing! I'm a 36E and the large was still a little big up top, quick hem job fix and the bottom fit great (5'7 165lbs) The zipper is great, the seems are all even, the material is comfy and not heavy, I can't believe the price! The description tells all and customer service is great. Plus, it came 2 days early! Yay!